WASHINGTON, Jan 22 2014 (IPS) - The appointment of a new transitional president, Catherine Samba-Panza, in the Central African Republic (CAR) is generating optimism in some quarters that the country’s first female leader will manage to quell mounting ethnic strife. President Samba-Panza was appointed on Monday, in the midst of inter-communal violence between Muslim Seleka and Christian militias. “As CAR’s first woman head of state since the country’s independence, and with her special background in human rights work and mediation, [Samba-Panza] has a unique opportunity to advance the political transition process, bring all the parties together to end the violence, and move her country toward elections not later than February 2015,” John Kerry, the U.S. secretary of state, said Tuesday. Yet some analysts here have quickly pushed back on the idea that the appointment of the new president offers a renewed chance for peace. While Samba-Panza is a Christian, she enjoyed close ties to the previous president, Michel Djotodia. Djotodia appointed Samba-Panza mayor of Bangui, the capital, in April, shortly after seizing the presidency. Although Samba-Panza was technically elected transitional president, the election took place within the National Transition Council, which is comprised of members appointed exclusively by Djotodia. Pham believes that a Samba-Panza presidency raises questions about the international community’s long-term commitment to CAR. For the time being, the United States is still sending financial aid to help alleviate the crisis. On Monday, the government announced an additional 30 million dollars in relief funding for CAR, bringing the total U.S. contribution to humanitarian efforts in the country to approximately 45 million dollars. That’s in addition to 101 million dollars designated for restoring security and 7.5 million dollars to support reconciliation efforts. 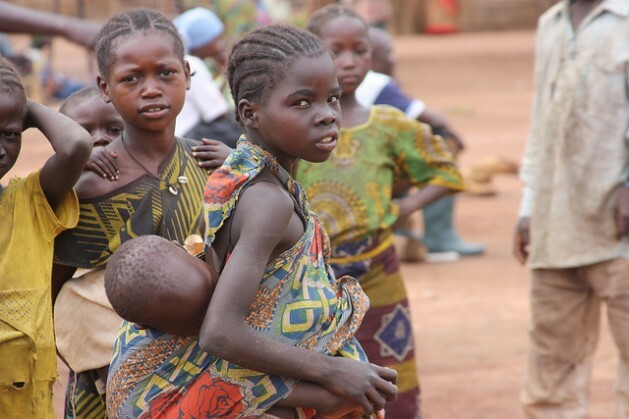 “One fifth of Bangui is now living in a vast, miserable encampment as terrified citizens seek safety from violence and looting,” Nancy Lindborg, an official with USAID, Washington’s main foreign aid arm, said Monday after a two-day trip to CAR. CAR’s current crisis erupted when the Seleka seized control of Bangui, ousting former president Francois Bozize and installing Djotodia in April. President Djotodia attempted to dissolve the Seleka because of the extremity of their war crimes and attacks on civilians. The Seleka continue to operate outside of government control and target civilians, which has led to clashes with the predominantly Christian militias. While former president Bozize initially created these militias – known as anti-balaka – to combat banditry, they began responding to Seleka abuses on Christians with similar attacks on Muslims, rapidly escalating the violence. Although the conflict in CAR appears to be purely sectarian on the surface, the appointment of a Christian to the presidency by other Djotodia appointees indicates that the conflict is more nuanced. Pham posits that the violence is ethnic, rather than religious. The Seleka themselves have even killed Muslims living in majority Christian areas. Tensions between the Seleka and anti-balaka reached a boiling point in December, as clashes between the two groups and their attacks on civilians drastically increased. Even though President Djotodia resigned on 10 January in an attempt to alleviate the chaos, the violence continues to raise fears of genocide. As the violence continues, analysts have made proposals to help end the conflict. France currently has 1,600 troops on the ground in CAR, while the European Union is expected to offer 500 soldiers to supplement French forces. “They need all the help they can get because it’s very difficult,” Bolopion says. Pham notes that the United Nations has authorised a force of up to 10,000, but states that nowhere near that number has materialised. “What we’re seeing in CAR is simply the evaporation of what few institutions there were,” he says. "The Crisis of Global Sustainability"